Harrisburg Family EdCamp - Making Families Stronger. Utilizing the expertise, talents and skills of the Harrisburg School District staff as well as partnering with community agencies and businesses, we will be offering a FREE event to offer parent education to support Harrisburg families with new skills and understandings. 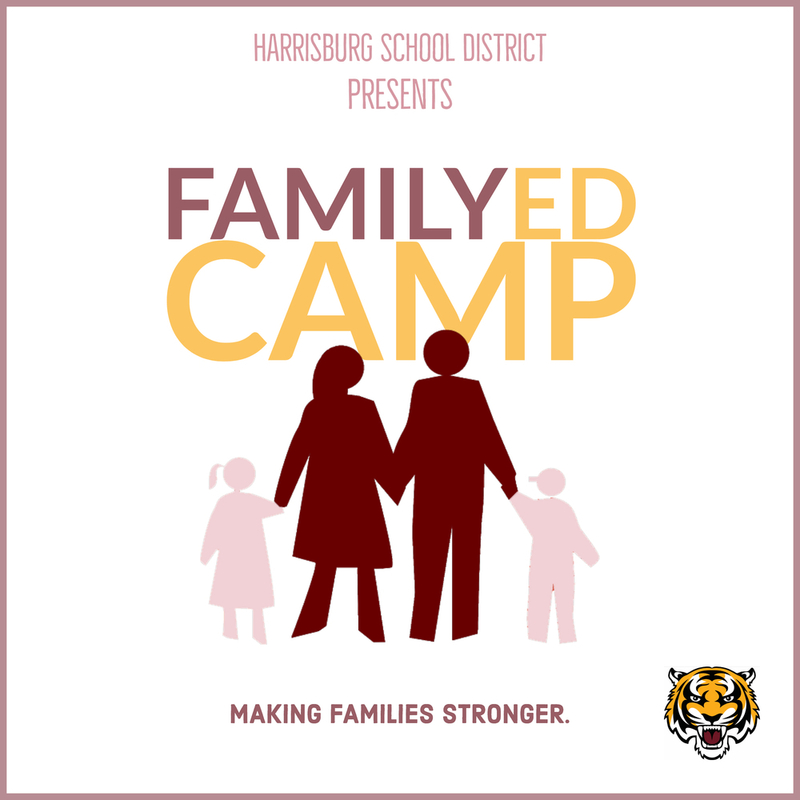 The inaugural Harrisburg Family EdCamp will take place on Saturday, October 27 from 8:00a-12:00p with skinny (25 minute) or in-depth (50 minute) sessions offered from 9:00a-12:00p. Sessions will center on a number of relevant topics for families: supporting your kids in different areas at school, setting routines and structures at home, tools for creating and sticking to a budget, setting limits with technology, and many others! Breakfast will be provided to families for FREE through partnerships with community sponsors. Childcare will be available at no cost, enlisting the help of the Harrisburg High School FCCLA as a fundraiser for that group. Mark your calendars for Saturday, October 27!